This thread is open to all requests concerning any materials related to either anime or manga. Please do not abuse this thread, otherwise we'll be force to implement harsher and more restricting guidelines. As of now there are currently no guidelines to follow.However it is strongly advised that requests should be as clear and detailed as possible. EG: Distinguishing between whether the request is for the anime or manga version of a series or providing song details such as artist and song title and any other necessary information when requesting anime music. The only problem with the above two link is that the site has a limit of two downloads per day unless you sign up for a premium account. But it'd probably be best to look through this list of anime download sites imo. I wanna request the subbed version of "Death Note How to read 13" I can only find the RAW. Only the first chapter has been scanalated as far as i know. Ok. U will keep it up-to-date right? Or I have to request again in the future? Ok. Thanks for the information. There's no limit one can request right. As of yet there are no limits. Good grammar can go a long way. It can mean the difference between having a question answered, or having the question fall on deaf ears. Since I'm feeling generous, i'll tell you where to go. His grammar is fine. All that's really wrong is the lack of capitals and periods (aside from the replacing of "know" with "no"). His post makes much more sense than the post you made at the end the Minami-ke series thread. A good site for downloading anime is lolipower.org, but then again, that depends what shows you're looking for. That site has a nice collection of different types anyway. http://www.fansub.tv/ has many eps of unliscenced series, liscenced series=ddls removed. it is at times slow but its pretty good. realitylapse.com is slow, some files are small/low quality and it may have annoying and possibly harmful popups. happened once, a suspicious forwarded site but no damage was done. imo its the last resort to visit. the rest is up to google and your discretion. I usually hit up Majin Arena for my anime needs. You'll need a membership, but it's quick and painless. I use http://www.crunchyroll.com you got to pay to download, but there player has pretty good quality. Try AnimeEden forums, they have direct download links. the only beef i have with crunchyroll is the audio. its higher pitched than say a subbed ep on a pc or another video hosting site. Not sure if this can be considered a request. I acquired a 牧野由依 (Makino Yui) CD, there's one song that sounds really familiar, but I don't remember what anime it's from (or if it's from an anime at all). The name of the song is ジャスミン (Jasmine). Click the link to download it. If anyone knows what anime this song is from, please help. Thanks. 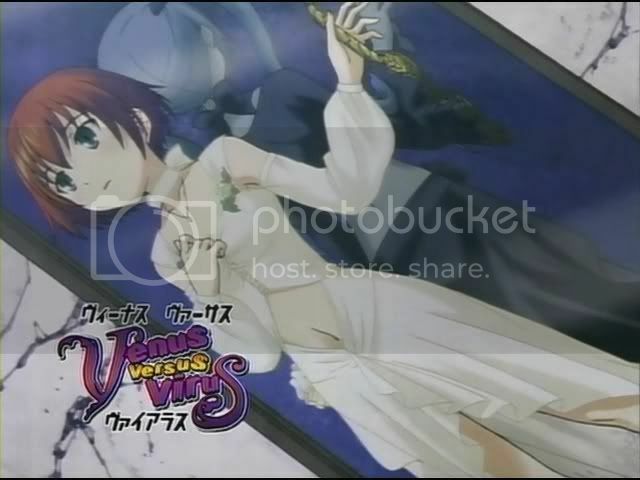 Been a while since I saw it, but the song's in the Tsubasa movie's Amrita single. Thanks for the info. So that song is in Tsubasa Chronicle? I watched both seasons but I don't remember hearing it though. Yep, same here. It should be in the movie though. Where can I find the Hong Kong manga "Fung Wan" aka Storm Riders from Ma Wing Shing online? Its just close to impossible. Hi, I wanna request these two songs from the anime show Grenadier: "Senmetsu Senshi" and "Hikigane no Omomi". If I cant have both can I just have the 2nd one then please. 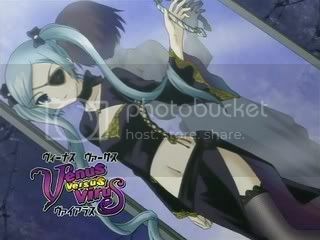 Anyone have relatively high-definition pics of Lucia and Sumire from Venus Versus Virus? Also, does anyone have any hi-def shots of Blackbird from Wangan?